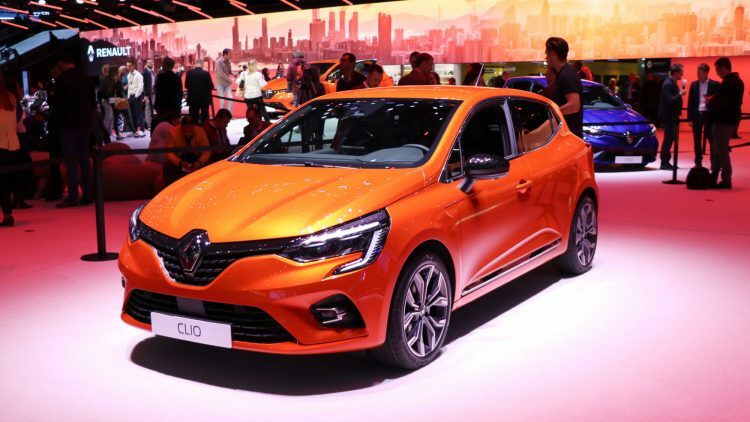 Renault was the best-selling car brand in France, PSA the top carmaker and the Clio the favorite model of the French during the first quarter of 2019. January to March 2019: the French new car market contracted slightly to 553,335 cars during the first quarter of 2019. French carmakers increased sales while foreign brands lost market share. Renault, Peugeot and Citroen were the best-selling car brands while the Renault Clio and Peugeot 208 were again the top-selling car models. Electric cars increased market share. New passenger vehicle registrations in France contracted by 0.6% to 553,335 cars during the first three months of 2019. French carmakers increased sales by 0.6% while foreign manufacturers sold 2.3% fewer cars in France during the first quarter of 2019. The sale of electric cars in France during the first three months of 2019 increased by 44% to 10,548 electric cars from 7,305 sold during the first quarter of 2018. The market share of electric passenger vehicles in France increased to 1.91% from 1.31% a year ago. The share of petrol engines increased to 58,55% from 53,41% while diesel’s share dropped to 34.5% from 40.59% a year ago. The PSA Group remained the largest carmaker in France during the first quarter of 2019 with sales up by 2.1%. Although Peugeot sales contracted by 4.2%, all other brands in the group had higher sales with Citroen and Opel improving by double-digits. DS is finally expanding again and became the 20th largest car brand in France thus far in 2019. The Renault Group lost market share in France with Renault branded sales down by 4.3% while Dacia sales improved by 5.1%. Renault remained the top-selling car brand in France. The Volkswagen Group was again the largest foreign carmaker in France during the first quarter of 2019 and gained market share. Volkswagen was the largest imported car brand in France and fourth largest car brand overall. VW, Skoda and Seat had strong sales in France while Audi and Porsche sales were weaker. Only Alfa Romeo had a weaker performance in France at the start of 2019 than Porsche. The Toyota Group increased sales in France with Toyota sales slightly higher while Lexus sales were down by 5%. Despite loosing more than a tenth in sales, Ford moved ahead of the FCA Group in France. All FCA brands had very weak sales in France during the first quarter of 2019: Fiat down 9%, Jeep down by a quarter and Alfa Romeo down 60% – no other brand performed worse. The Hyundai Group moved ahead of the BMW Group with Hyundai sales up by 14% and BMW sales down nearly 15%. In contrast, Mercedes Benz sales were stronger with Smart the best-performing brand in France thus far in 2019. The Volvo Group improved sales by a fifth in France during the first quarter of 2019. Tata Group figures were included by the CCFA for the first time this year but both brands Jaguar (-22%) and Land Rover (-10%) had a weak start in 2019. There were no changes in the rank order of the five largest car marques in France during the first three months of 2019 compared to a year ago. Renault and Peugeot remained the largest car brands in France with both marques selling just over 4% fewer cars than during the first quarter of 2018. Citroen, Volkswagen and Dacia gained market share in France with strong sales. Toyota moved ahead of Ford that was the worst-performing brand in the top ten. Opel was the most improved and swapped places with Fiat. Mercedes Benz entered the top ten with Nissan dropping from 10th to 13th. The worst-performing brands among the top 20 largest car marques in France during the first quarter of 2019 were Nissan, BMW and Ford. The best performers were Volvo, Hyundai and Opel. The Renault Clio and Peugeot 208 remained the favorite car models of the French despite both cars being in production since 2012 and both replacement models already announced at the Geneva Auto Salon in March 2019. Sales volumes of the Clio increased to a new record while the 208 sold just below the record level achieved a year ago. The Citroen C3 and Renault Captur each moved up one rank position with stronger sales while the Peugeot 3008 slipped from third to fifth with lower sales. The Dacia Sandero moved up two rank position to regain sixth place for the first time since 2014. As a result, the Peugeot 2008 and Peugeot 308 each slipped down one rank position. The Dacia Duster and Citroen C3 Aircross were new entrants on the top ten list. The Renault Twingo slipped from 9th to 12th and the Renault Megane from 10th to 13th. The VW Polo at 11th were again the favorite imported car model of the French.